Shop for your new home the smart way! Learn how to calculate how much house you can afford before hitting that open house or applying for a mortgage. Buying your first home is one of the most important and exciting financial milestones of your life. But before you hit the streets with a realtor, you need to have a good sense of a realistic budget. 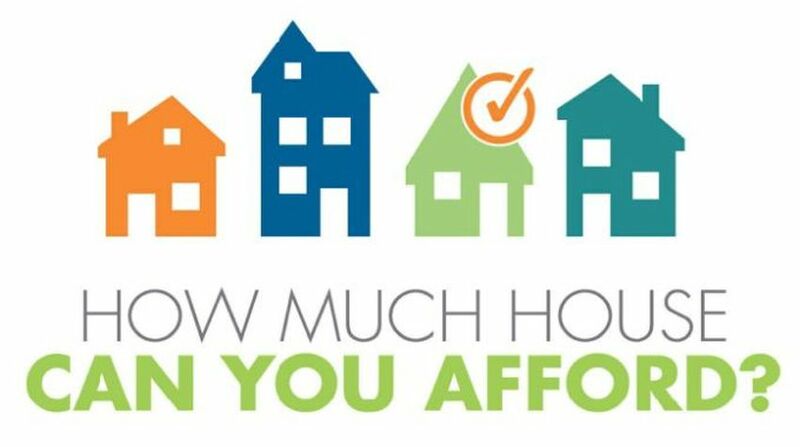 Just how much house can you afford? You can determine how much house you can afford by following three simple rules based on different percentages of your monthly income. Mortgage lenders use something called qualification ratios to determine how much they will lend to a borrower. 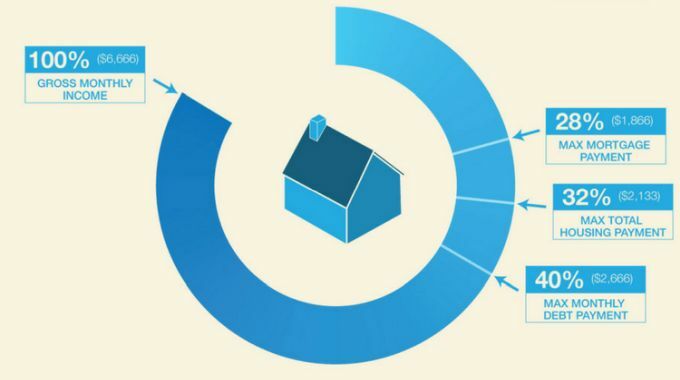 Although each lender uses slightly different ratios, most are within the same range. Some lenders will lend a bit more, some a bit less. Your maximum mortgage payment (rule of 28): The golden rule in determining how much home you can afford is that your monthly mortgage payment should not exceed 28% of your gross monthly income (your income before taxes are taken out). For example, if you and your spouse have a combined annual income of $80,000, your mortgage payment should not exceed $1,866. Your maximum total housing payment (rule of 32): The next rule stipulates that your total housing payments (including the mortgage, homeowner’s insurance, and private mortgage insurance [PMI], association fees, and property taxes) should not exceed 32% of your gross monthly income. That means, for the same couple, their total monthly housing payment cannot be more than $2,133 per month. Your maximum monthly debt payments (rule of 40): Finally, your total debt payments, including your housing payment, your auto loan or student loan payments, and minimum credit card payments should not exceed 40% of your gross monthly income. In the above example, the couple with $80k income could not have total monthly debt payments exceeding $2,667. If, say, they paid $500 per month in other debt (i.e. car payments, credit cards, or student loans), their monthly mortgage payment would be capped at $2,167. This rule means that if you have a big car payment or a lot of credit card debt, you won’t be able to afford as much in mortgage payments. In many cases, banks won’t approve a mortgage until you reduce or eliminate some or all other debt. Now that you have an idea of how much of a monthly mortgage payment you can afford, you’ll probably want to know how much house you can actually buy. Although you cannot determine an exact budget until you know what interest rate you will pay, you can estimate your budget. Assuming an average 6% interest rate on a 30-year fixed-rate mortgage, your mortgage payments will be about $650 for every $100,000 borrowed. For the couple making $80,000 per year, the Rule of 28 limits their monthly mortgage payments to $1,866. Ideally, you have a down payment of at least 10%, and up to 20%, of your future home’s purchase price. Add that amount to your maximum mortgage amount, and you have a good idea of the most you can spend on a home. Note: If you put less than 20% down, your mortgage lender will require you to pay mortgage insurance, which will increase your non-mortgage housing expenses and decrease how much house you can afford.